Xiaomi has confirmed that a special edition of the Mi Note smartphone will be launching on Tuesday. Lin Bin, Co-Founder and President of Xiaomi, in a Weibo post confirmed the launch. 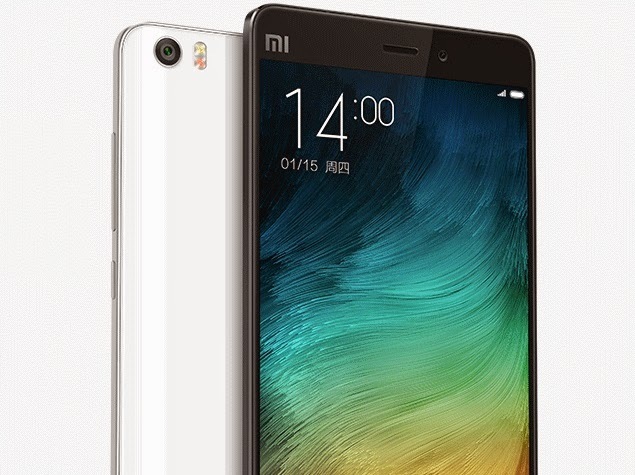 Bin in his post also compared the Xiaomi Mi Note with the iPhone 6 Plus. In his Weibo post, Bin said (translated by Bing), "Mi Note, two-sided curved glass, much lighter and thinner than iPhone 6 Plus a larger screen, giving everyone the first feeling is amazing. Tomorrow, we will publish a special edition that looks better Mi Note. Imagine?" The post (via GSMArena) was accompanied by an image that showed the Mi Note with the date March 17 on its lock screen. At the moment, not many details about the special edition of the Mi Note phablet are known, but based on Bin's remarks, we can expect it to feature a slightly different design. Initially launched in January, the Xiaomi Mi Note flagship smartphone was priced at CNY 2,299 (roughly Rs. 23,000) for the 16GB model, while the 64GB model was priced at CNY 2,799 (roughly Rs. 27,900). At the launch, Xiaomi compared its Mi Note phablet to the iPhone 6 Plus saying that the camera on the Mi Note was level with the smartphone body while the iPhone 6 Plus' camera protrudes. In January, Xiaomi's Mi Note phablet went up for sale in China for the first time and the handset within three minutes of the sale going live was said to be out of stock. For specifications, the dual-SIM and dual-standby Xiaomi Mi Note with Micro-SIM and Nano-SIM card support features a 5.7-inch full-HD (1080x1920 pixels) Sharp JDI display offering a pixel density of 386ppi. It also packs Corning Gorilla Glass 3 for protection. The handset sports a metal frame. The phablet measures 6.95mm thin and weighs 161 grams. It sports a 13-megapixel rear camera with a six-element lens, OIS, a Sony CMOS sensor, and two-tone flash from Philips. There is a 4-megapixel front-camera also onboard with large 2-micron pixels. The phablet is powered by a quad-core Qualcomm Snapdragon 801 processor clocked at 2.5GHz alongside 3GB of RAM and Adreno 330 GPU. The Xiaomi Mi Note also supports 4G LTE connectivity and is backed by a 3000mAh battery with Quick Charge 2.0 technology.